Sì by Giorgio Armani was launched in 2013 and still is one very appreciated and beloved perfumes for true connoisseurs. Famous actress Cate Blanchett advertised the original version and other limited editions as well, so this winter the fashion house of Giorgio Armani introduces a new limited edition Sì Passione. Giorgio Armani Sì Passione is all about love, warm feelings, passion, and sensuality. The new edition ideally describes an independent and powerful woman, yet sensitive and vulnerable. The new edition promises to be more intense and sexier accompanied with a red lipstick thus leaving back a positive first impression of a gorgeous woman. Giorgio Armani Sì Passione is all about seduction and confidence made of top notes of spices pink pepper, black currant and fresh pear along with floral notes of roses, jasmine, and heliotrope. The base calms on a woody layer made of sweet vanilla and cedar. Giorgio Armani Sì Passione is available in 30, 50 and 100ml Eau de Parfum. 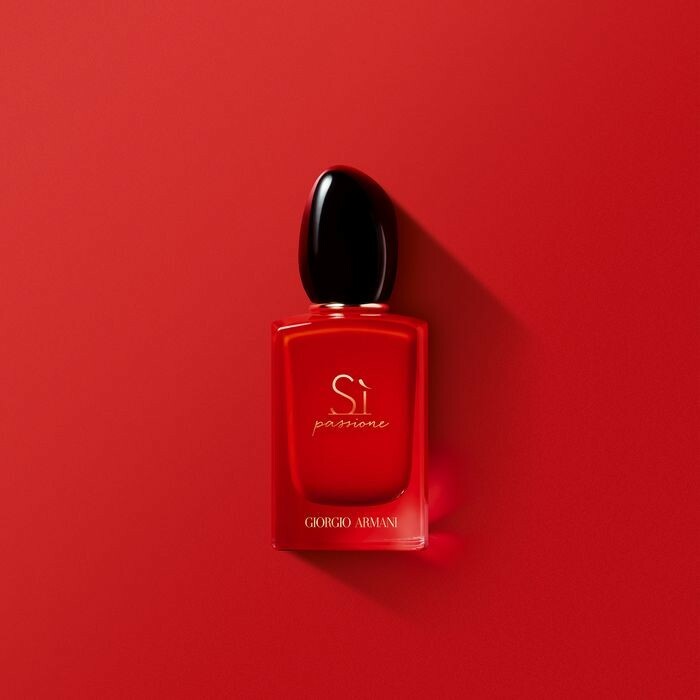 That red color - Sì Passione is everything a woman seeks and wants. I am a Si fan so the new version seems lovely, hot and seductive. A new limited edition is coming out so you can check it on my perfume blog: Giorgio Armani SI Nacre Sparkling limited edition 2018. I think they resemble much, in a way, but still has smth different and unique in its composition.